Motivation: I can’t tell you how many books I’ve edited where the author fully explains why a character does something—lengthy conversations with their BFF, internal monologues that go on for pages, rationalizations and backstories galore—yet the story goes nowhere. Nothing happens. That can work if you’re writing flash fiction or a character study, but it sure gets boring (and frustrating!) over a 200-page story. Momentum: I’ve also worked on dozens of books with non-stop action, or more twists and turns than a Chubby Checker song, but nowhere in the story do we find out why events happen the way they do. Not really. Not intrinsically or in-depth. There’s a story with illusory action—maybe even rising and falling action—but there’s no true sense of story progression. In other words, no real action. What’s My Motivation? Actors say that all the time, so why shouldn’t your characters? For every chapter or scene, develop two motivations: what they’re trying to do in the big picture, and what they’re trying to accomplish now. They can be contradictory. In fact, that often makes the story more interesting. Just know what your characters are trying to do, even if they don’t. Make a Character Work-Up. Plenty of authors create a character worksheet, but it needs to be more than their hair color, marital status, and shoe size. Think of it as the most detailed dating profile you’ve ever filled out. Include emotional characteristics, quirks, and of course, their motivation. What do they want out of life, or at least during your story? Then, in some way, show that motivation in the beginning, middle, and end of your novel. Is Inaction Part of Your Plot? Maybe your character has great motivation, but fails to act on it? That’s a recipe for disaster, right? Not necessarily. That’s also the formula for Hamlet, and that’s among the greatest plays every written. In order to keep your story moving forward without getting bogged down in inaction, do what Shakespeare did (you can learn from worse): put your character in new situations. Give him or her new challenges. Test their resolve, and therefore their motivation. Make them uncomfortable. Have You Written a Grocery List? Too many authors turn their plot into a grocery list. The character does this, then that. Next event. The story (and the characters never develop). Just ask why? Why are they doing this? Even if your character is the traditional hero and is fighting the villain because it’s the right thing to do and right must triumph, blah, blah, blah, that doesn’t tell the reader why that character is doing it. Why are they fighting for justice? Intrigue us. Challenge us. Plot twists mean nothing if your character is always a straight arrow. Use events to challenge a character’s underlying assumptions and beliefs. That adds momentum to the story, and the two coming together creates action—which is way more exciting than a grocery list. Does Your Character Talk Too Much? There’s more talking in novels than ever before, but pages of dialogue or a lengthy reflection on some past triumph or defeat needs to go somewhere. It typically reveals a character’s motivation (and is a way of spoon feeding it to the reader), but it also takes away from a story’s momentum. Nothing is happening, and when nothing is happening, there’s no action. See if you can chop out some of that friendly dialogue or internal monologue. Show us your character’s motivation by adding to the momentum, which creates action. Kenneth Burke was one of the greatest linguists and literary critics of the 20th century. He was also the personal editor for e.e. cummings and William Carlos Williams, and they took his suggestions to heart. You should do the same. If your editor is telling you he doesn’t understand your character’s motivation, or your story has gotten bogged down and nothing is happening, listen to him and figure out if your problem can be solved by this equation: motivation + momentum = action. Improving one will likely improve the other and keep your story moving along. 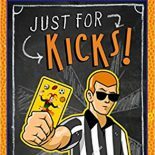 This entry was posted on January 17, 2018 by johnbriggsbooks in Fiction, Writing and tagged Fiction, writing advice.